IPSY is a $10 a month beauty subscription service that includes a makeup bag and 5 different samples. I like that they include a wide range of products instead of giving everyone the same thing like most of the other subscription boxes. SMASHBOX CAMERA READY BB CREAM in LIGHT/MEDIUM ($10)- For some reason this is really dark on me and looks kinda orange. I’ll have to try it again in the spring when I’m not quite so pale. GLOBAL BEAUTY CARE DEAD SEA WASH OFF MASK ($5)- I really like the packaging of this mask. I hate when mud masks come in tubs and you get them all under your nails. I’ve used this mask once so far and I liked it, although there wasn’t a noticeable difference afterwards. RIMMEL LONDON LIP BALM by KATE MOSS ($5.50)- I can never have enough lip balm and this one is pretty good. It smells yummy and I like the packaging. This went right into my purse! 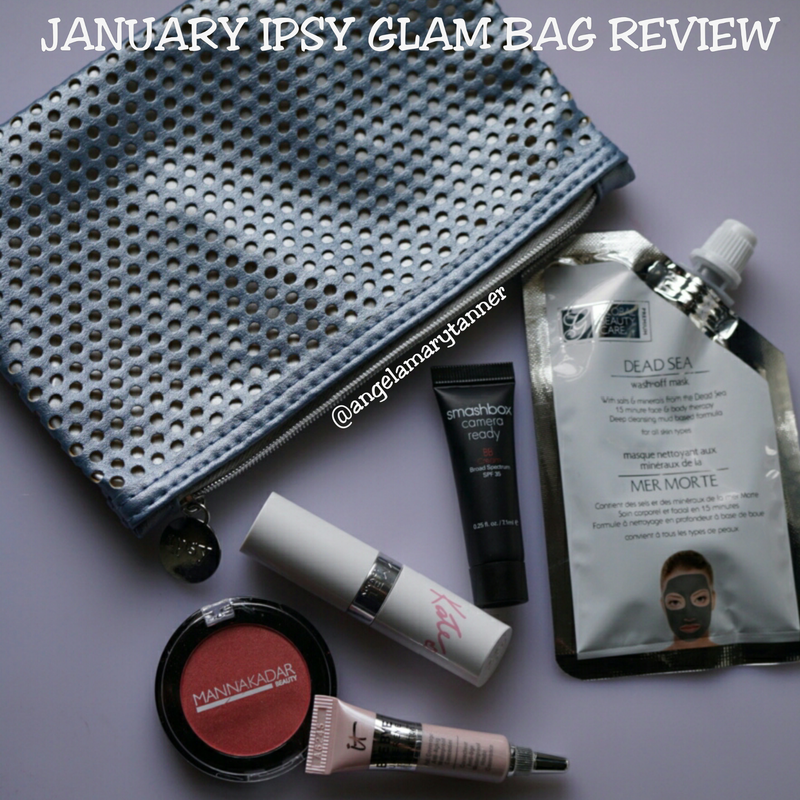 IPSY is $10 a month and the value of my January bag was almost $45. Not bad! I won’t use the blush and I may or may not use the bb cream but everything else was good. I’ll post my SEPHORA PLAY review next week! Have you tried opening the blush? It is insanely difficult! Ha! No I haven’t because I was planning on giving it away. But now you’ve piqued my interest! I’ve received that mask before and it’s amazing!!! I also loved that it re-seals! I wanted to love the concealer but it’s so hard to blend and I am used to serum style concealer. The mask looks interesting! I love the products of this month!